The Thomas Pangborn Lodge 88 of the Fraternal Order of Police was formed in 1936 by members of the Hagerstown Police Department. 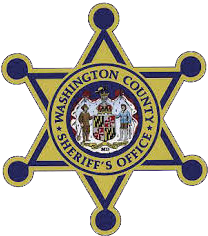 Lodge 88 members are comprised from Law Enforcement Officers within Cities, State, and Federal Law Enforcement Agencies in Washington County Maryland. Our facilities are on seven acres of land over looking the Conococheague Creek. The Lodge support though donations many youth athletics teams within Washington County as well as the Washington County’s Children Village. 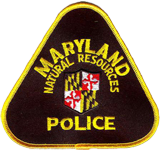 On November 8, 1967, in Lodge 88 clubhouse the Maryland State Lode was formed. To form a states Lodge, there must be three (3) Local Lodges in existence. There were four (4) Local Lodges in Maryland at that time. They were Thomas Pangborn Lodge #88 of Hagerstown, Prince George’s County Lodge #89 and Baltimore City Lodge #3. Also in existence at that time but not present at the meeting was Fort Cumberland Lodge #90. National President John Harrington then declared that he would have a coin-toss between the remaining two local lodge Presidents, President William Giffin of Thomas Pangborn Lodge #88 and President Oral Husk of Prince George’s County Lodge #89. The coin was tossed by National President Harrington and President Oral Husk won the toss becoming the temporary President of the Maryland State Lodge. In August of 1968, the first Maryland State Conference was hosted by the Lodge #88 in Hagerstown, Maryland. At this first conference the foundation was laid. The Maryland State Lodge Constitution and Bylaws were accepted.